"Buy Land: They Aren't Making It Anymore"
Could this trusted real-estate adage be a myth? All literalism aside, the economics of the assertion are less than solid. Real estate may be part of the Earth, but its value and exchange is just as vulnerable to the market forces of supply and demand as other commodities like gold, copper, beans, and bread. While the supply of land may appear limited, it is infinitely divisible for all practical concerns. Humans do not spread out to one person per square mile or anything. Major cities in the east can support more than 4,500 people per square mile. Meanwhile, huge areas of land in the west sit vacant, and you could drive for hours without seeing another person. Not only is land infinitely divisible, but there is also much more of it left to divide. But what about access? They aren’t making any more access, are they? Well, yes. What good would a developer’s new subdivision be if it didn’t have roads? Private owners can build roads, and new public roads are regularly being built along with new exits, new streets, and new bridges. The current secondary route could become a primary route, and today’s high-traffic roadway could become tomorrow’s old highway. With these changes come new supplies of land for new uses. Speaking of which, the market value of land comes from its economic usefulness and productivity, in other words, from the things that can be done using the land. And the things that can or should be done with land, can change all the time either having a positive or negative effect on value. 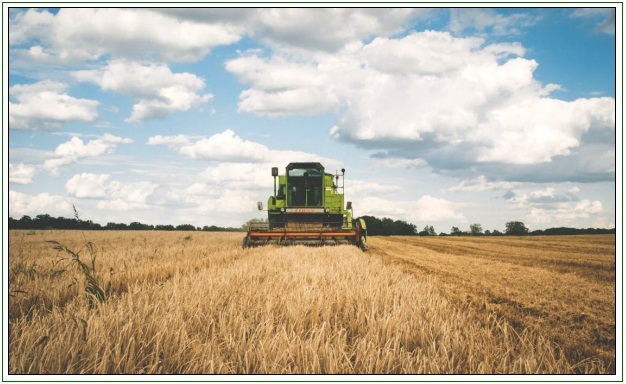 Consider the effect on the value of farmland if the demand for grain doubled; or conversely, if technology allowed the amount of grain that could be produced per acre to double. Even if the amount of land remains the same, the demand for it will change, along with its value. The same principle holds true outside of the agricultural realm. What are some of the reasons that people want to buy land in first place? Mainly, things can be put there, including yourself, homes, golf courses, factories, etc. But the demand for any of these uses can change regardless of how much land is there. New taxes, regulations, and crime can change property value nearly overnight. For example, there is a limited amount of land in New York City, but the same is true of Detroit, where the demand is far less. At Spurgeon Appraisals, we seek to understand the forces which drive the market value of real estate. The factors that affect market value are not constant, and the notion that they will be the same or better in your lifetime, or even in the next ten years, is not guaranteed. Not even close. This applies even to perceived scarcity of land. Market conditions can change and do not depend solely on the amount of land available.